Free of coding hassles, Strategy Builder gives users the most comprehensive backtesting capabilities available. 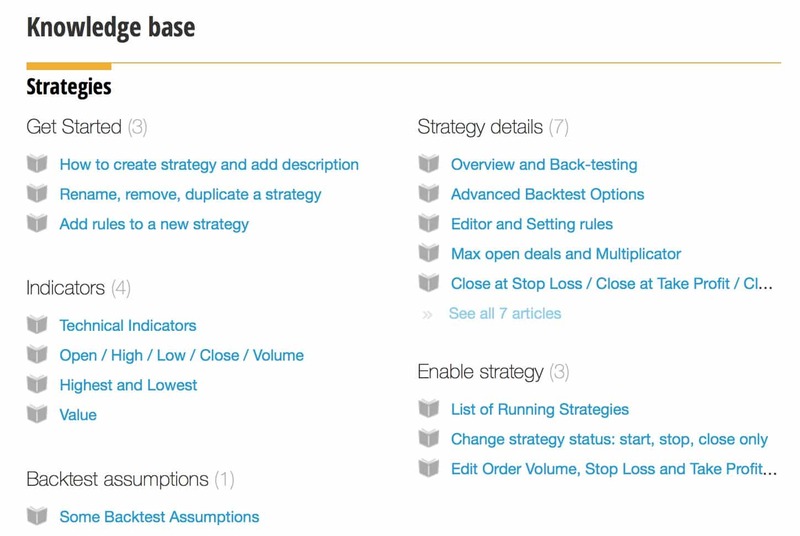 Web based trading platform Umstel has released its latest update, launching a new Strategy Builder for users. The new functionality is a refreshing perspective and sizable asset for traders both novice and veteran alike, enabling lengthy backtesting capabilities and customized strategies without any hassle of coding. The rollout of the Umstel’s Strategy Builder follows after its certification by the Financial Commission (FinaCom) earlier this month. Umstel’s certification followed after a rigorous review process to evaluate technical information requirements within the trading platform, which were found to be of the highest standard. Since launch, Umstel has steadily developed and rolled out one of the most versatile platforms on the market, backed by a team with over two decades of experience in the industry. The platform allows for usability in all markets, enabling a turnkey user-friendly environment. Given an extensive data partnership with Bats Exchange, Umstel’s trading platform supports direct trading on more than 10,000 instruments, including stocks, indices, futures, and foreign exchange (FX) – the platform’s users also have access to market-leading technology, also benefitting from some of the most competitive stock exchange execution. The release of the Strategy Builder constitutes a game changer for clients given the myriad benefits associated with its usability and versatility. 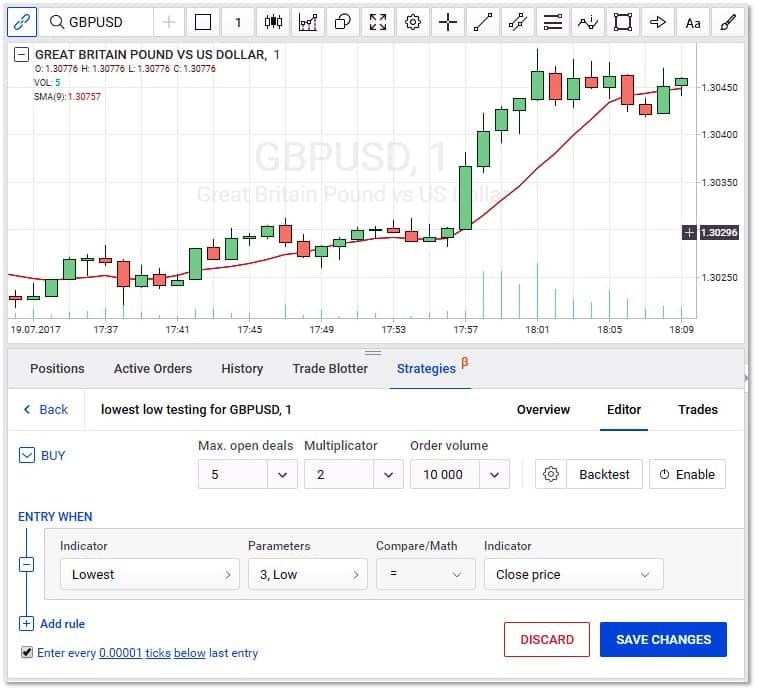 With lengthy backtesting options that goes over two decades, users have access to one of the most extensive data streams with which to customize their trading strategies. One of the strongest features of the Strategy Builder upgrade is its functionality. In addition to allowing users to craft a cohesive strategy, the new option combines a host of useful elements that include hundreds of different indicators, data, and other values. 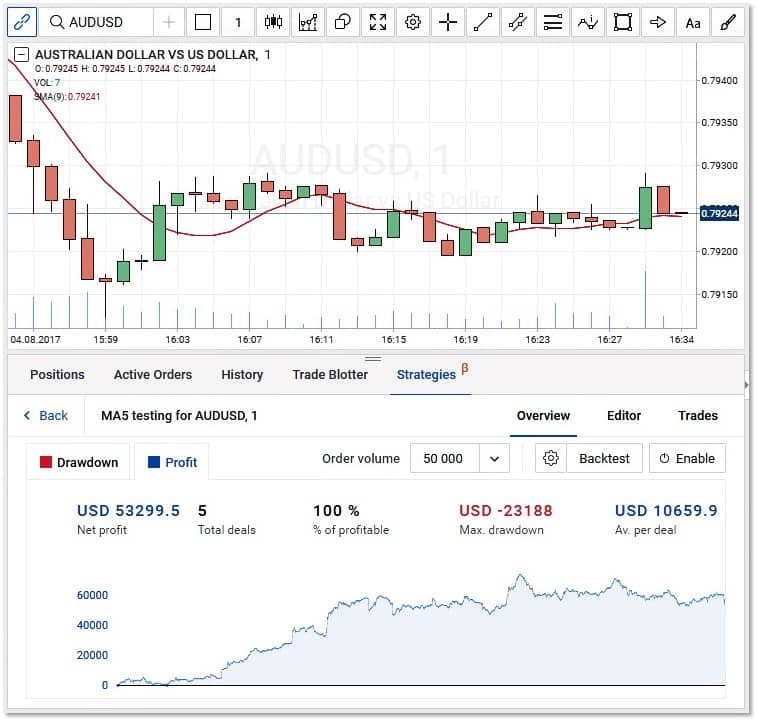 Users can also save customized descriptions to these strategies, while also implementing buy, sell, and exit orders all via this same interface. 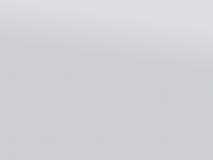 Umstel Strategy Builder also features some of the most robust risk management features available to trading platforms – in addition to StopLoss and Take Profit options for all open positions, users can test any strategy they wish right on Umstel’s server without any delay in execution. This is routinely an issue with other platforms running algorithmic capabilities in their respective terminals. The latest update also signals Umstel’s emphasis on transparency with regards to the platform. This facilitates improved broker-client relationships, as users are able to quickly troubleshoot or navigate through any potential queries. Umstel’s platform is also supported by an informative help desk, which details all components and options available on the terminal. An in-depth analysis by Finance Magnates revealed a user-friendly trading platform. With no shortage of options available across the industry, the advent of Umstel’s Strategy Builder reveals one of the more comprehensive tools on the market. As a whole, the platform is highly organized with a conducive layout that traders can easy work through. The platform is a refreshing perspective and true one-stop shop for clients who do not need to feel encumbered with coding or lengthy searches for other sophisticated trading instruments. The Strategy Builder section is also centralized and strategically located – users can easily sculpt hundreds of different trading strategies given a pantheon of indicators all available in tandem with the interface. The combination of such lengthy data streams, indicators, and strategy customizations is a true game changer to Umstel’s platform. 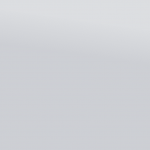 Fully customizable strategies and a supported ‘My Strategies’ tab are instrumental for both new and existing clients. The availability of such a tool that is both easy to navigate and technically advanced caters to clients of all skill sets. With a newly retooled strategy interface, brokers will be able to harness the upgrade in attracting a wide range of new clients.